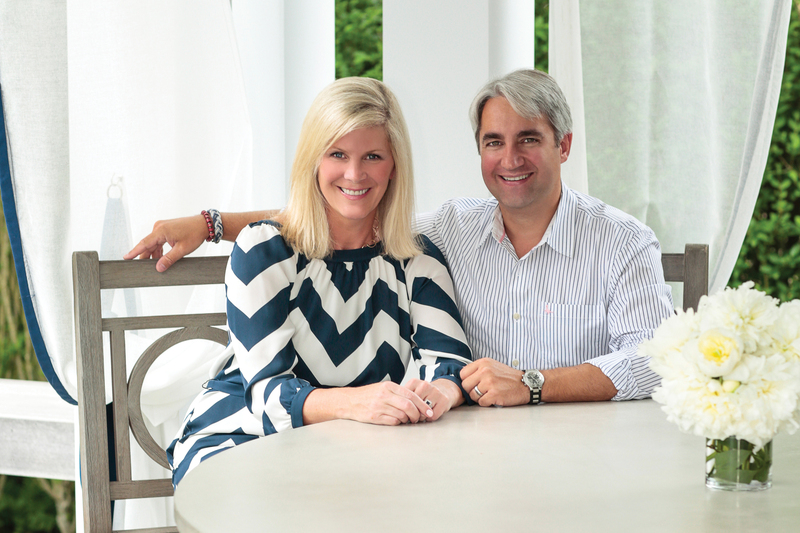 Avid fans of The Shade Store, husband-and-wife team Jennifer Mabley and Austin Handler of Mabley Handler Interior Design in the Hamptons sit down with us to discuss the importance of collaboration. AD360: Why are collaborations with architects and furnishings partners so important? team, can discuss and ultimately make the best decisions for our clients. This is one of the things we love about working with The Shade Store, they have extensive experience and always make the process so much easier. The whole is definitely greater than the sum of its parts! AD360: How closely do you typically work with project architects? MHID: How we work with them often depends on when our clients bring us in to the project. If we come on board before they have hired an architect, we can help our clients discover how they live and/or how they want to live, so they are prepared to vocalize this to their architect. When we’re brought in after an architect has already been engaged, we typically don’t want to start undoing the process, but we’ll serve as the clients’ second (and third!) set of eyes, looking for any potential red flags in the design of the house that may impact the idea for the interior. AD360: What trend in interior design are you loving right now? MHID: We are using a lot of furniture with wood finishes that have a more organic, natural feel to them. And that carries over into our shade and window treatment selections. We’re using lots of natural and textured fabrics and materials because we love the dimension they bring to a room. AD360: What window treatments do you commonly use in your designs? MHID: The Shade Store’s ripple fold system has become our go-to drapery style. It allows for a more transitional type of installation that pairs well with our design aesthetic. We also love using the flat roman shades with unlined sheer fabrics to create a soft, filtered look that can stand alone, or be paired with a layered drapery look.